You’d be forgiven for experiencing reboot fatigue at the moment. Everything from Stephen King’s It to ’80s detective show McGyver has received a glossy remake in recent memory, and the train chugs on with Netflix’s latest teen drama: a dark reimagining of Sabrina, the Teenage Witch. Although the magical mistress first appeared in Archie comics back in 1962, she’s primarily known to audiences through the American sitcom which ran from 1996 to 2003 and made a star out of Melissa Joan Hart. Following the success of Riverdale – a gritty Archie adaptation starring an impossibly beautiful cast in increasingly batshit situations – some canny television executives saw fit to bring his comic castmate Sabrina to the small screen again, sans the laughter track and animatronic cat. 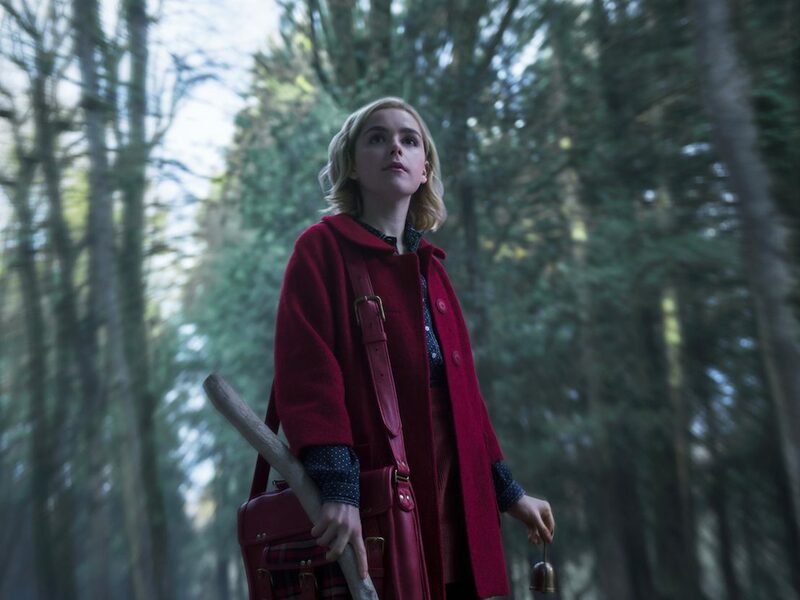 In Chilling Adventures of Sabrina, Sabrina Spellman is played by Kiernan Shipka, best known for growing up on AMC’s Mad Men, where made waves as Don Draper’s impish daughter Sally. 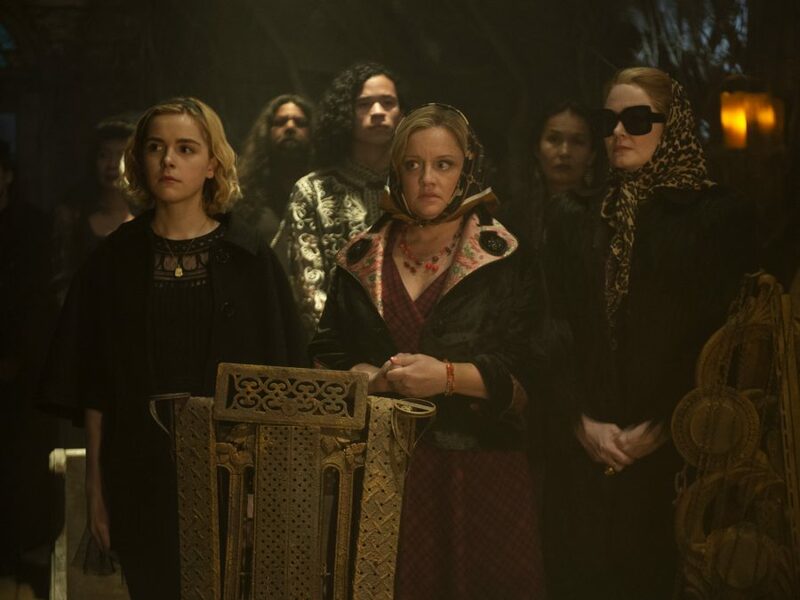 Sabrina resides with her witch aunts, Zelda (Miranda Otto) and Hilda (Lucy Davis), and cousin Ambrose (Chance Perdomo), and with her 16th birthday fast approaching, she’s forced to choose between her mortal life attending Baxter High in Greendale, and her magical potential as a student at The Academy of the Unseen Arts. This dichotomy between the mortal and supernatural worlds sits at the heart of The Chilling Adventures, as young Sabrina is torn between her Gen-Zennial teenage life with her boyfriend Harvey Kinkle (Ross Lynch, who made waves earlier this year in My Friend Dahmer) and the opportunity to live up to the legacy created by her warlock father. Meanwhile, something wicked this way comes in the form of Mary Wardell (Michelle Gomez), Sabrina’s high school teacher who’s harbouring a dark secret. Drawing on inspirations from seminal witchy classics such as The Craft and Hammer Horror’s The Witches but undoubtedly also inspired by the likes of Heathers and – quite possibly – Taika Waititi’s What We Do in the Shadows, there’s a gothic lushness to the show, while the twinkling Elfman-esque score and impressive set design provide the requisite atmosphere needed for a show that has ‘chilling’ in the title. Although set in the present, Sabrina’s wardrobe harkens back to the ’70s, favouring wine-red turtlenecks and plaid miniskirts with opaque tights. A suitably spooky (and sometimes on the nose) soundtrack including Donovan’s Hurdy-Gurdy Man and Cliff Richard’s Devil Woman helps cement a delicious, gleeful tone, combining guts and gore with pretty dresses and blonde curls. While its sibling-of-sorts Riverdale has been accused of becoming progressively more preposterous with every episode, Sabrina sets its stall out as a supernatural confection from the start, simultaneously as sweet and bitter as a dark chocolate truffle. Kiernan Shipka feels like a natural choice as Sabrina, her wide-eyed naivete just as quickly replaced by a wicked glint and knowing smile. It falls to Shipka and co-star Ross Lynch as Sabrina and Harvey to sell the relationship at the heart of the show to audiences, and they’re infinitely believable as the star-crossed lovers, Ross so charmingly enamoured of his girlfriend he doesn’t always seem able to believe his own luck at dating her. For those who grew up on the delights of the original sitcom, The Chilling Adventures of Sabrina is a nostalgic but never derivative delight – it’s sumptuous enough to keep you enthralled but spooky enough to still provide chills and thrills. For a whole new generation of viewers, Sabrina’s a plucky heroine who tries, fails, and tries again. The story might be familiar, but with this delectable execution it’s an indulgent delight, and if binge-watching is your bag, there couldn’t be a better title to curl up with this Halloween. 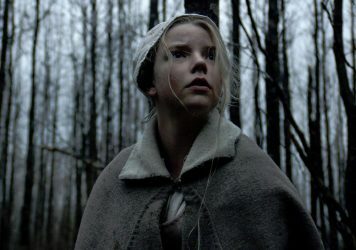 Robert Eggers’ film provides an evocative reminder of the anxieties, fears and early religious beliefs that shaped the New World. Twenty years since Buffy first hit our screens, feminist horror fantasies are firmly back in fashion. 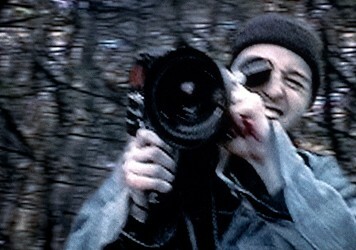 Directors Eduardo Sánchez and Daniel Myrick tell the story of how their freshman film project became a cultural phenomenon.